Tomato, Big Mama Hybrid is rated 4.0 out of 5 by 141. Rated 3 out of 5 by planterjeff from Good producer and disease resistant. I want to give this tomato a 5 star rating because it started out that way. The plants were big and strong and produced a lot of fruit. They are very disease resistant as well, and lasted well into November. The issue comes at the end of the season, almost all of the fruits suffered from BER once fall started to set in. I also add bone meal at the beginning of the season to help prevent this as I had read the reviews from others in regards to this. I also use drip irrigation to ensure proper watering. I am still going to plant these again this year because early season production was great, but I will probably look for a replacement once I am out of seeds. Rated 3 out of 5 by JenCinVA from Weird, thick white walls inside I've planted Big Mama tomatoes for about 3-4 years now and this is the first I recall getting so many with a thicker, white interior walls. To the point I ended up throwing a few away because there was so little to salvage. Also, one of the plants never looked well this year, while the other was fine. I grew both from seed so not sure what happened. The leaves were so tightly curled on the bad one I don't know how it got enough sun on them to do as good as it has been. 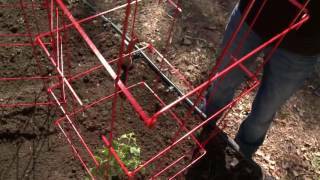 I also planted Beefsteak tomatoes and those have been doing great in comparison. As far as the Blossom End Rot people are complaining about, I did get some on these tomatoes, but I've learned to quickly add finely crushed egg shells to the soil and water, which almost immediately resolved the issue and it's cheap! 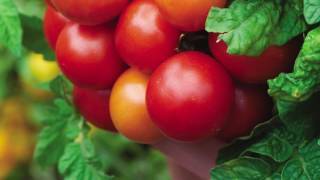 Better to treat the plant at the first sign than complain about it and lose half your tomatoes. Rated 5 out of 5 by Katmandu from Enormous, Delicious Fruit One of the over-achievers this summer. Nine foot plant with vines approaching 12 feet, and PLENTY of perfect fruit. No splits, no leaf rot - picture perfect. If you are looking for a tomato sauce variety, this is one for the garden. I tested one plant this year, will go for several next year. Rated 1 out of 5 by verda from Big Mama Tomato plant After several seasons of losing half my sauce tomato crop to blossom end rot, I'm done buying Big Mama Tomato plants. The other 6 tomatos plants had ONE fruit with blossom end rot, all planted in the same row, all treated the same way. Also, sweet peppers had TWO, that's it, and all are producing fruit like mad, too. Rated 5 out of 5 by Kelkel181 from Favorite tomato I’ve grown a few tomatoes the last couple years and this one is my favorite, they hold their shape well and made excellent canning tomatoes. The only problem I had in the beginning of the season was blossom end rot, but it was quickly fixed once I provided the plants more calcium. The only tomato I’m growing this summer. Rated 5 out of 5 by tpand from Wonderful big meaty tomato I have grown this for at least 3 years and it never disappoints! Beautiful color, taste, holds well on the vine and after picking. By far my favorite tomato ! Rated 5 out of 5 by Terri14 from The best sauce tomato ever! I have been planting Big Mama tomatoes for several years now. I love the flavor! This is the only tomato I will make sauce from. The yield keeps me in sauce for the entire winter! Rated 1 out of 5 by HeartSoulBrains from Terrible Big Mama Results !!!!! I grew 7 varieties of tomatoes, last year. I had high hopes for Big mama, since I had read fabulous reviews; however, I had terrible results. I grew the plants from seed, half started indoors and half started right in the garden. I had 80% germinate indoors and 88% germinate in the garden for a total of 119 plants. The plants which were started in the garden were healthier and stronger plants, and they started blooming 2 weeks after the ones started indoors, even though they were started 7 weeks apart. The biggest problem was a terrible case of blossom end rot. I lost every Big Mama tomato that came on the stem for the first 2-3 weeks. Just as I was going to dig up and throw away the plants, I started to get a few without the blossom end rot, so I decided to keep them to see what would happen. From that point on, I lost approximately 50% to the blossom end rot. None of the other typesof tomatoes had any problems. I had the best results with the Super Sauce seeds! I will not ever try to plant Big Mama, again. I can't afford to lose that much crop.